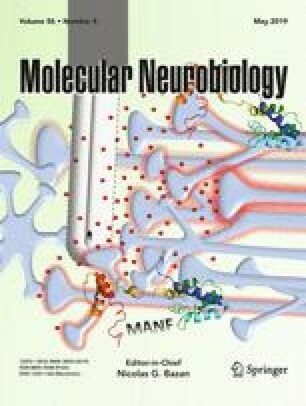 In 2001, the first author of this paper reported that schizophrenia is associated with an increased frequency of the haptoglobin (Hp)-2 gene. The precursor of Hp-2 is zonulin, a molecule that affects intercellular tight junction integrity. Recently, we reported increased plasma IgA/IgM responses to Gram-negative bacteria in deficit schizophrenia indicating leaky gut and gut dysbiosis. The current study was performed to examine the integrity of the paracellular (tight and adherens junctions) and transcellular (cytoskeletal proteins) pathways in deficit versus non-deficit schizophrenia. We measured IgM responses to zonulin, occludin, E-cadherin, talin, actin, and vinculin in association with IgA responses to Gram-negative bacteria, CCL-11, IgA responses to tryptophan catabolites (TRYCATs), immune activation and IgM to malondialdehyde (MDA), and NO-cysteinyl in 78 schizophrenia patients and 40 controls. We found that the ratio of IgM to zonulin + occludin/talin + actin + viculin (PARA/TRANS) was significantly greater in deficit than those in non-deficit schizophrenia and higher in schizophrenia than those in controls and was significantly associated with increased IgA responses to Gram-negative bacteria. IgM responses to zonulin were positively associated with schizophrenia (versus controls), while IgM to occludin was significantly associated with deficit schizophrenia (versus non-deficit schizophrenia and controls). A large part of the variance (90.8%) in negative and PHEM (psychosis, hostility, excitation, and mannerism) symptoms was explained by PARA/TRANS ratio, IgA to Gram-negative bacteria, IgM to E-cadherin and MDA, and memory dysfunctions, while 53.3% of the variance in the latter was explained by PARA/TRANS ratio, IgA to Gram-negative bacteria, CCL-11, TRYCATs, and immune activation. The results show an upregulated paracellular pathway with breakdown of the tight and adherens junctions and increased bacterial translocation in deficit schizophrenia. These dysfunctions in the intestinal paracellular route together with lowered natural IgM, immune activation, and production of CCL-11 and TRYCATs contribute to the phenomenology of deficit schizophrenia. The study was supported by the Asahi Glass Foundation, Chulalongkorn University Centenary Academic Development Project and Ratchadapiseksompotch Funds, Faculty of Medicine, Chulalongkorn University, grant numbers RA60/042 (to BK) and RA61/050 (to MM). All the contributing authors have participated in the manuscript. MM and BK designed the study. BK recruited patients and completed diagnostic interviews and rating scale measurements. MM carried out the statistical analyses. All authors (BK, MM, SS, and AV) contributed to interpretation of the data and writing of the manuscript. All authors approved the final version of the manuscript. The authors have no conflict of interest with any commercial or other association in connection with the submitted article.